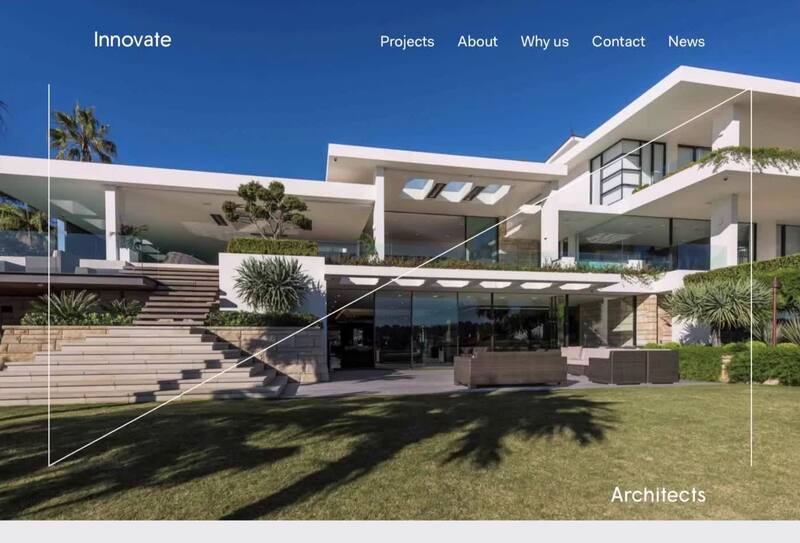 Innovate is an experienced, multi-disciplined architectural & interiors studio based in Sydney's South. 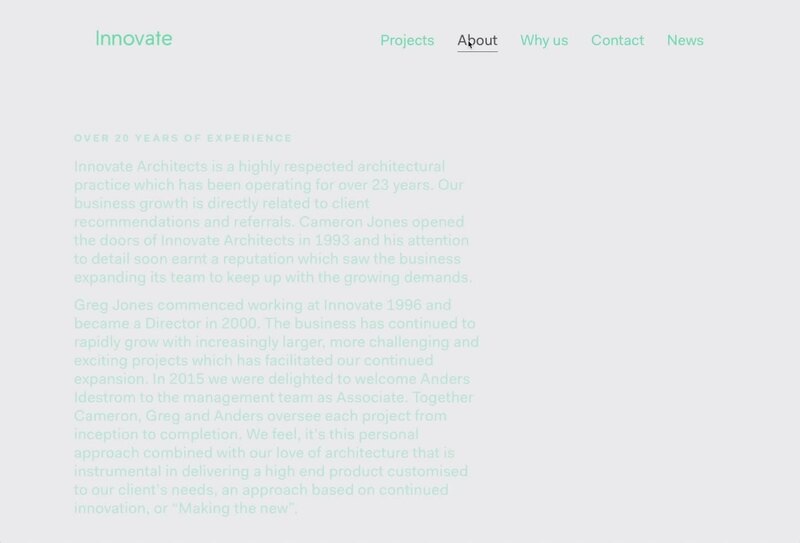 Alter was commissioned to review and refresh branding for South Sydney based Innovate Architects. We began by moving from Innovative Architects to the more simple name Innovate. This refinement essentially became the broader proposition for a more streamlined and minimal identity system that would reflect the experience and quality of the work undertaken by the practice. The expressions of the project that bear out the Innovate title are responsive marks and subtle transitions throughout different elements of the Innovate website. The collateral was expanded to include a custom made folder based upon a traditional expanding document sleeve. The result is a beautifully finished and foiled take on an otherwise ubiquitous and utilitarian item of office stationary. It’s a simple example of the refinement that can transform the ordinary into a new experience.